When the Sheba Cancer Research Center (SCRC) wanted to transfer 300 terabytes of data from the US National Cancer Institute Center for Cancer Genomics (CCG) Genomic Data Commons (GDC) in Chicago to local storage to advance their research, they thought the process would be relatively straightforward. They acquired resources needed in Sheba’s data center, opened accounts on the GDC Data portal (a unified data repository that enables data sharing across cancer genomic studies in support of precision medicine), received authorization for access to the databases, installed the client tools, and clicked ENTER to begin the transfer of the harmonized datasets. The next message: “Your download will be complete in 43,800 hours” took them by surprise. The exact language may have been a bit different, but the message was clear: the existing networking infrastructure was not up to the job. The Sheba Cancer Research Center, affiliated with the Tel Aviv University Sackler School of Medicine, was founded and is led by Professor Gideon (Gidi) Rechavi. It is a facility known for its pioneering, top-notch core research, and not one likely to concede in the face of technology challenges. Prof. Rechavi is not only a world-renown researcher in his area of expertise: identifying the role of transposable genetic elements in the activation of cancer-causing genes and deciphering global modifications in the human transcriptome by RNA editing and RNA methylation. He is also known for staying two steps ahead when it comes to the technology that enables advanced cancer research. It is this vision that keeps SCRC equipped with the most advanced, and necessary, technologies that makes deciphering novel genetic and epigenetic mechanisms affecting global gene expression and their implication in cancer and neuronal disorders possible. 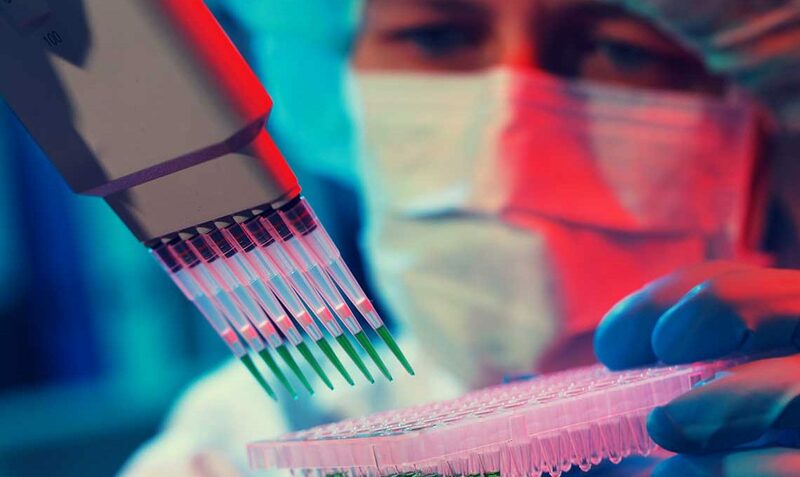 Under his direction, SCRC was the first research facility in Israel to acquire DNA microarray and next-generation sequencing (NGS) technologies. Professor Rechavi also spearheaded efforts to acquire sufficient storage to meet his ambitious goal of downloading the GDC datasets from the NIH. It was the GDC portal team that led them to seek advice from the Inter-University Computation Center (IUCC), Israel’s National Research & Education National Research & Education Network (NREN). Eran contacted Hank Nussbacher, IUCC’s Director of Network & Computing Infrastructure, for assistance. IUCC already did some work with another Sheba Medical Center unit using IUCC’s ILAN network for high-speed tele-surgery applications. But even that level of connectivity and speed was nowhere near what was needed to transfer 300 terabytes effectively and securely. Hank suggested a 1Gb/sec dedicated link between IUCC and SCRC using existing carrier infrastructure. IUCC contacted the NIH GDC portal staff, benchmarked the application to make sure it worked and that the connectivity from Israel would be able to handle a sustained 1Gb/sec load. The Sheba Cancer Research Center’s work currently focuses on three main areas: RNA modification and its role in the regulation of gene expression and cell fate; the study of transposable genetic elements in cancer (TEs), also known as “jumping genes” which are DNA sequences that move from one location on the genome to another; and sequencing and genomic studies for personalized medicine, relevant to cancer and rare genetic diseases. The GDC data is essential for the Center’s transposon research and whole genome sequencing of specific subsets of cancer patients since they involve enormous datasets and analysis.